Paleon Museum provides Dig Schools where people from across the country join us for our week-long dig schools. Your week is spent at our dig sites just outside of Glenrock. Instruction is given by the museum Paleontologist and the museum staff. 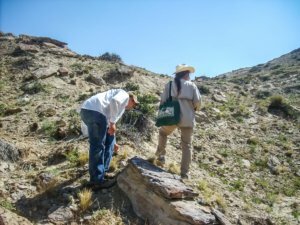 Day Digs are a great option for those people who would like the Paleontology experience, but who do not have the time to spend a week with us. These digs are a “crash course” in the work done here at the museum.